Deputy President William Ruto has proposed that Presidential election runners-up should join parliament so that they do not feel excluded. 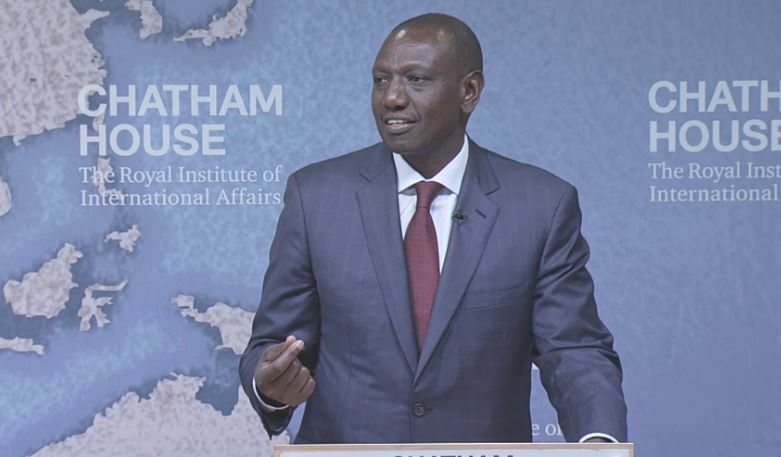 Speaking at Chatham House in London on Friday, Ruto also said that the Senate should be made the upper house to avoid conflicting interests between the two legislative houses. He also said that the same formula should be used in county governments, with runner-ups assuming official opposition roles in county assemblies. He attributed post-election violence to individuals who do not accept defeat, but instead use the IEBC as a scapegoat. “I believe very strongly that in our politics, IEBC is the least of our problems. We have used IEBC as a convenient ‘excuse’ for those who do not win elections. The problem is the people who refuse the outcome of elections. That is when they run amok. Going forward we should only allow democrats to participate in the elections,” said Ruto. The DP, who has cut short his trip in London dismissed claims that Jubilee rigged the 2017 general elections. “We had won more seats in every category. How possible was it that we lost the election,? it does not make sense but as democrats, we went back,” he added. The DP declined to respond to former Jubilee vice chairman David Murathe’s sentiments, who has declared him (Ruto) ineligible for 2022 Presidential race. “I have not responded to Murathe in Kenya. I am not about to respond to him in Europe,” he said. Earlier today, Ruto cancelled his cocktail meeting with Kenyans in London, which was to happen today.